girl loves friday and a give-away. This week FLEW by with the blink of an eye. This is a good thing. I seriously cannot believe July is coming to an end. We're already talking about the State Fair which usually marks the end of summer. I'm ready to move forward. I got a peek of my boys face yesterday. It's just amazing...this whole creating life deal. The mr was well, everything looks great. And I'm at the halfway point which seems crazy. It feels like I just took the pregnancy test just last week. 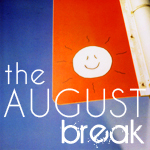 the grand idea of documenting the whole month of August. My "week in the life" went totally out the window. I waited too long and now I don't even remember what went on that particular week. My camera and I have been on the outs these past few months. I'm hoping this will rekindle our love for each other. My current must have now craving. I love the original Andy Capp's hot fries but these are extremely hot and I cannot get enough tongue burning spice right now. gut burn to follow. Sketchbook 2 is a four week class filled with fresh sketches, easy instructions, beautiful examples, and lots of fun. From August 2nd to August 27th a PDF will be delivered to your inbox every Monday, Wednesday, and Friday so you can work at your own pace. By the end of the class, you'll have a complete sketchbook of 12 original sketches, 36 layouts, and an additional 36 sketches based on those creative pages. 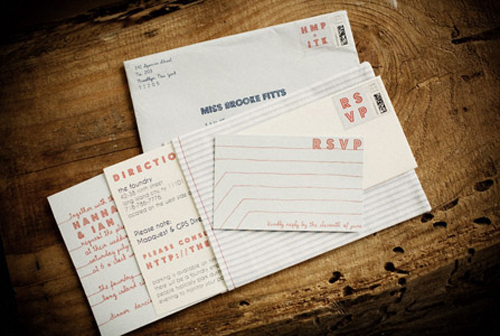 All the examples are brand new layouts, exclusive to this class... you won't see them anywhere else! 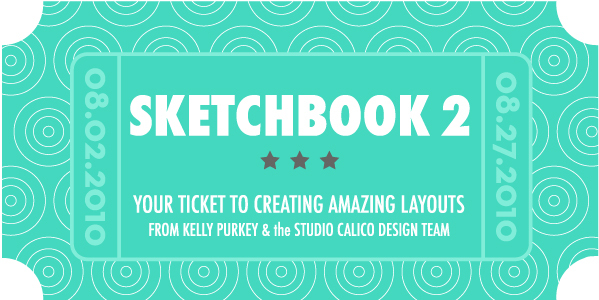 The best part is that you will be receiving an example layout from me for each of the sketches, along with two example layouts from a member of the incredible Studio Calico design team. The class will also include a private message board for questions and sharing ideas, as well as two scheduled chats - all on the awesome Studio Calico website. Post here for a chance to win a spot in the sketch class. I want to know what you're loving right this very moment. I'll choose a random winner on Monday.